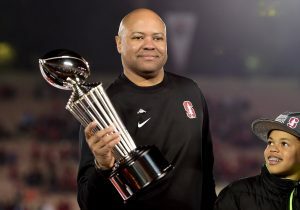 David Shaw, Head Football Coach at Stanford University, talks about his philosophy on communicating with recruits, “Start as you mean to go on.” Essentially, coaches should be the adult in recruiting conversations as they establish potential coach-player relationships. Shaw also discusses the intricacies of effectively using this method with today’s youth. In the part 2 of his 1.Question interview, Coach Shaw addresses what he sees as a major deficiency in the development of young people today. He mentions the responsibility that coaches (and leaders in general) have in teaching humility, and emphasizing the importance of self-evaluation.